Where does public responsibility end and that of philanthropists begin? Are there good acts philanthropists should be cautious about undertaking? Can the good work of philanthropy harm our democratic society? In an era where a new generation of mega-rich men and women have begun to consider how to use their wealth philanthropically, these are important questions. When Diane Ravitch, former assistant secretary of education, describes Bill Gates as the “unelected superintendent of American schools”; or when Stephen Edwards, a policy analyst at the American Association for the Advancement of Science, reports to the New York Times that “the practice of science in the 21st century is becoming shaped less by national priorities or by peer review groups and more by the particular preferences of individuals with huge amounts of money,” they are referring to philanthropy as an exercise of private, and yet politically salient, power. Reich’s concern is that issues that should be resolved within the framework of democratic structures and processes become controlled by private philanthropic structures that are less open to public engagement or, in the extreme, totally removed from public scrutiny by the use of private corporate structures, as Mark Zuckerberg has done. From Reich’s perspective, “There ought to be ways of socially sanctioning them or shaming them, which is to say subject them to scrutiny. Or we should reserve civic gratitude for the forms of philanthropy that serve democratic aspirations.” Failing to do this has the potential to weaken the very fabric of our society. 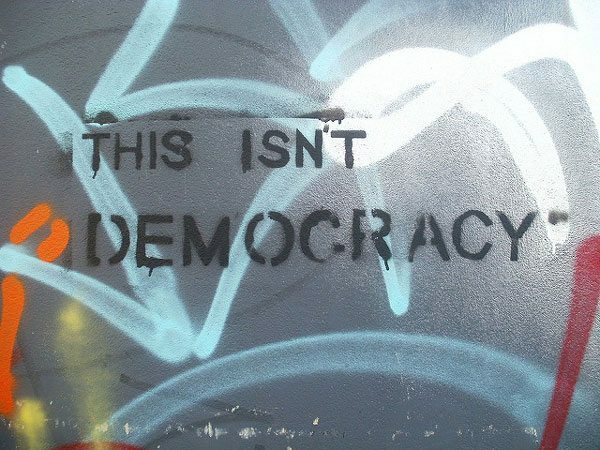 Because only the collective power of government has the economic capability to provide the services that are essential to our future, protecting democracy is very important. Melinda Gates herself has admitted the inability of her foundation, the largest in the U.S., to match the government’s giving power. All the wealth of the richest philanthropists is not enough to independently fund education, medical care, or social services; weakening the fabric of a democratic society will result in less good for all. Reich suggests that it is better for private wealth to provide resources for important R&D efforts that will bring new approaches to the public agenda. “Philanthropists can pilot test social experiments or novel public policies, subject them to all kinds of scientific testing, and then present the successful innovations for a stamp of democratic approval—ordinarily to a legislator—for scaling it at large,” he said. Undemocratic philanthropy is a misuse of power, even if it is power attempting to do good. “At the very least, we should not provide tax benefits to further augment the private pursuit through philanthropic mechanisms of private means,” Reich argued. CZI is “just figuring out how to use” the policy-advocacy tools at its disposal. The organization does not currently have a specific education policy agenda it is seeking to advance…But CZI won’t rule out the possibility that it might engage in a host of political activities in the future, including giving to candidates and establishing its own 501(c)4 organization or political action committee. Nor would the initiative commit to publicly disclosing such activity if it occurs.